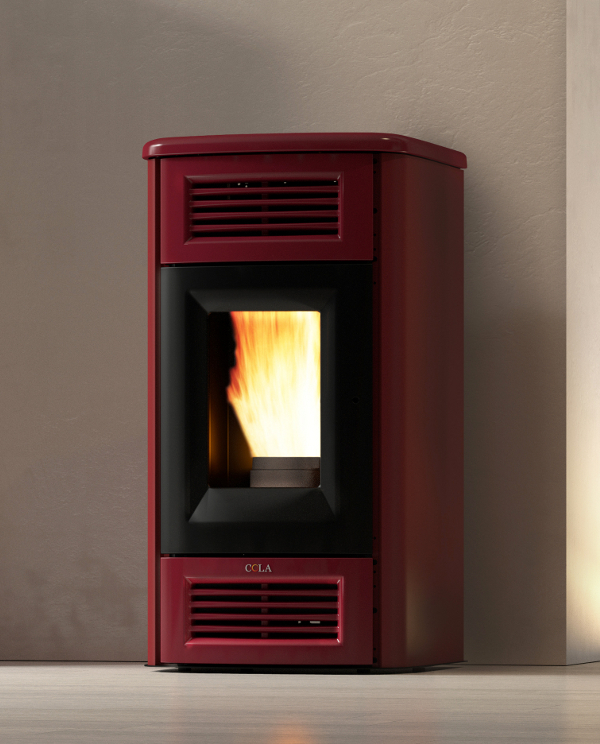 Hydro stove with top and front grilles in majolica, painted steel sides and an elegant door in black painted cast iron with panoramic ceramic glass. New-generation remote control, pull-out ash pan and handle, manual cleaning of exchangers. Available in four colours.